MSI has also unveiled their Z87 MPower and Z87 Gaming lineup. heatpipe cooling. 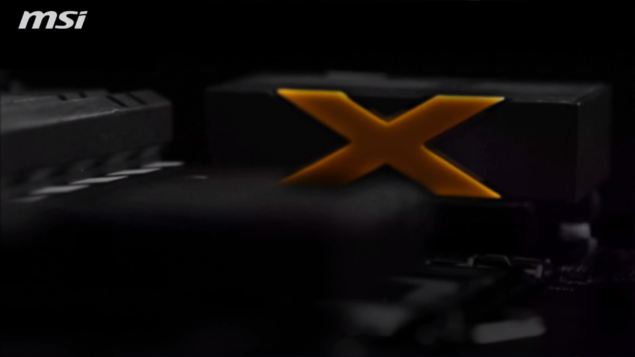 The heatsink solution comes with glowing patterns and a large X Logo that glows on both sides in yellow color. The motherboard features a black and yellow design scheme, the second heatsink sits on top the Z87 PCH. GBps ports next to which two USB 3.0 front panel headers are located. slot near the Z87 PCH which can be used to add a WiFi add in card on a M-SATA SSD. needed while gaming. One can also spot an abundance of super ferrite chokes next to the four DDR3 DIMM slots and also a variety of overclocking friendly features such as Power On/Off, Clear CMOS, Voltage adjustments, clock adjustments and voltage measurement points.